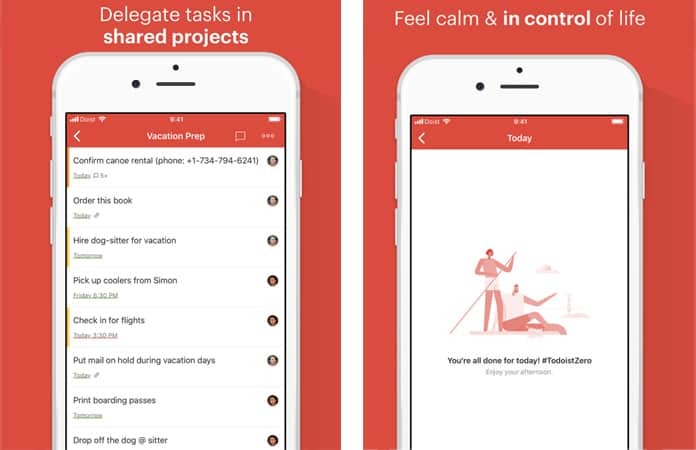 There are a lot of productivity apps available for iPhone and Android. These apps enable you to achieve specific goals which you can’t do without them. The type and nature of each productive app can be different. You must check the features and all options of the app which you want to use. Productive apps can help you to make your regular tasks easy, can help you to fix any major issue and can give you new features to enjoy. As there is a wide range of such apps available, you need to understand your requirements and then go with the right app. We are providing you the brief details of 15 productive apps with their complete use. You must explore all to know about them and get anyone which suits you the best. 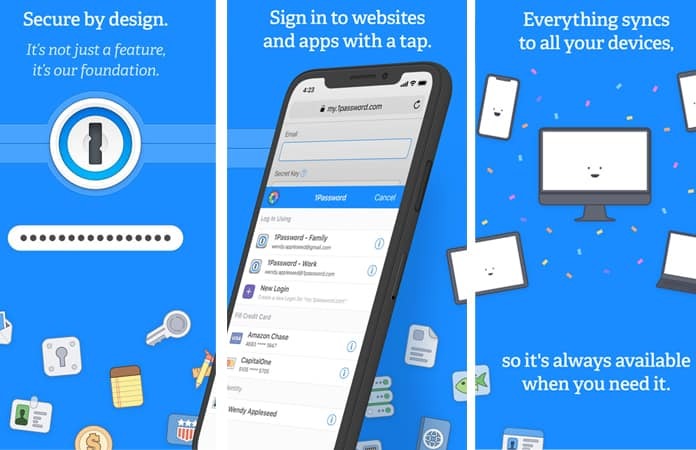 1Password is the right app when you want to manage a lot of passwords. It allows you to manage your all passwords and saves your time. It can speed up your login and logout process, and you will be able to access your online accounts quickly. This app is available for iPhone, Android, macOS, Windows with full supportive features. There are two-factor authentication and many other options which provide you complete secure environment to save your passwords. You can download this app for free. Asana is a great app which is useful for team coordination. You can use it professionally to manage the tasks of your team while you are not with other members. You can find a lot of supportive information which can help you to deal with different situations. You can easily assign a task and get the details of tasks anytime. You will be able to know the status of work done and other changing in the projects. It is available for $11.99 billed monthly for Premium package. Copied is a fabulous app to copy and paste different texts easily. 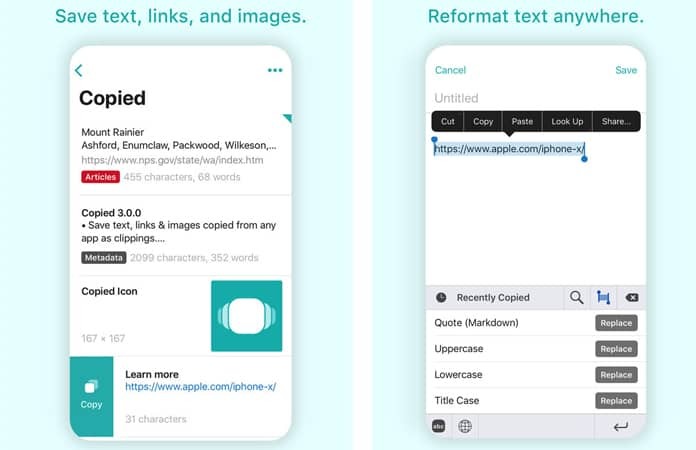 This app will save you enough time by storing snippets of text and allow you to edit, copy, and paste quickly. Additionally, you can copy links and images which is a great deal. There is a clipboard which makes it easy to paste the copied stuff anywhere when needed. You can sync the iPhone app with the Mac app and take benefits of other options too. This app is free, but you need to pay $2.99 upgrade for added features and to sync. Adobe Acrobat Reader is the best app when you have to work with PDFs a lot. There are a lot of tools in this app which you can quickly use to complete any PDF editing task. 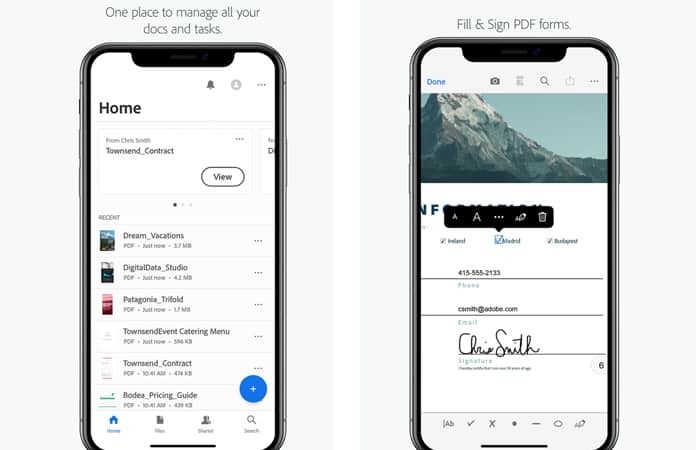 You can open PDF and do different operations including signing documents, drawing on pages, striking out text, highlighting text, and a lot of others. It is a free app, and you can easily install on your iPhone. Scheduling and managing different tasks are the most critical need of everyone. Feel lucky as Doodle can help you to schedule your daily tasks with great ease. You can quickly create a pool and send it to anyone to know the facts. It helps you to get the answers to all questions from a large number of people in a controllable manner. It is the best app when you want to know the preferences of different people about any specific situation. 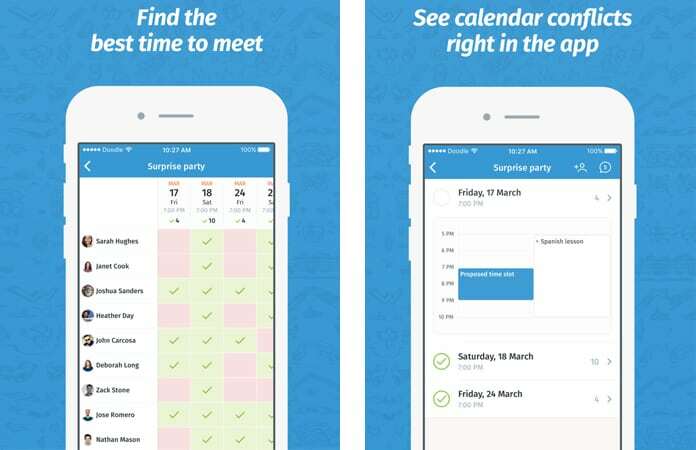 You can use this beautiful and time-saving app for free. 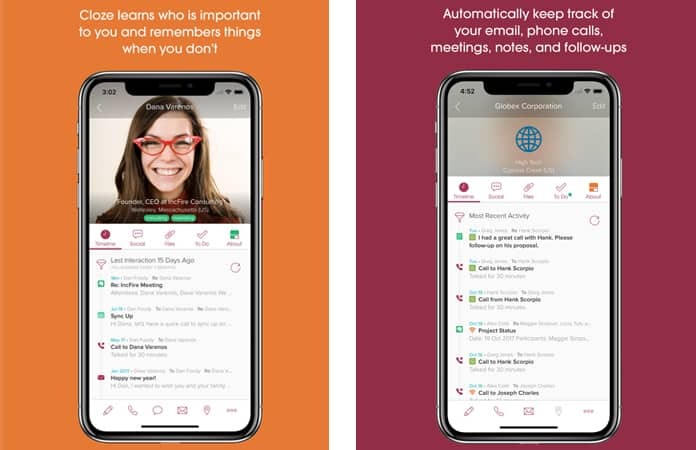 Cloze is another productive app which helps you to manage relationships conveniently. You can analyze your contact details and their current status. You will be able to contact your family members and other persons anytime when you need. 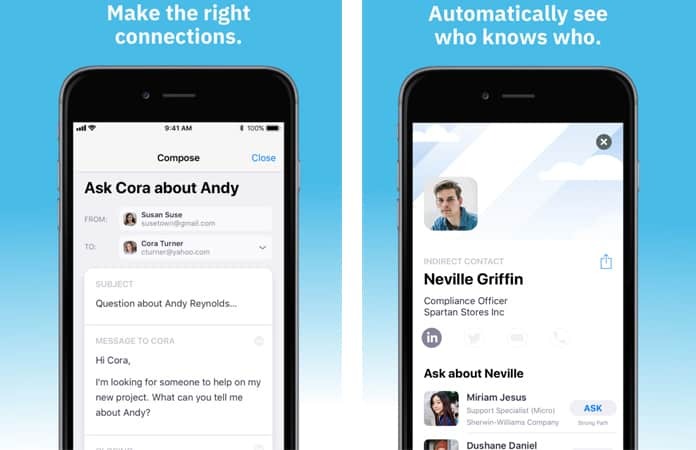 You can quickly connect with LinkedIn, Twitter, Gmail, Microsoft Exchange, and Yahoo through this app. This unique networking app helps you to remove distances between your friends and allow you to know everything about all individuals. Its free version is available, and its paid version is available at $13.33 monthly for Pro package. Tide is an amazing productivity app which can surely give you the best of your work time. It works in an entirely unique way. You can set the hours of your work, and during your work, it will prevent you from using your phone. After you complete your work hours, it reminds you to take a short break so that you could increase your productivity. Another great thing about Tide app is its sounds. 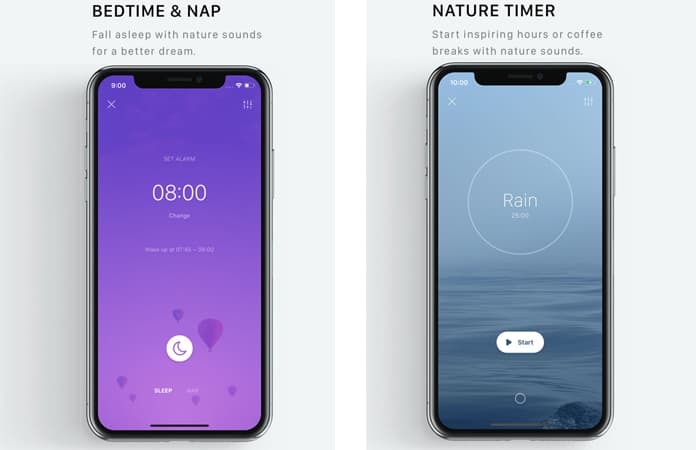 It includes the sounds of nature like raining and forest which help you to meditate and focus on your work in a really effective way. 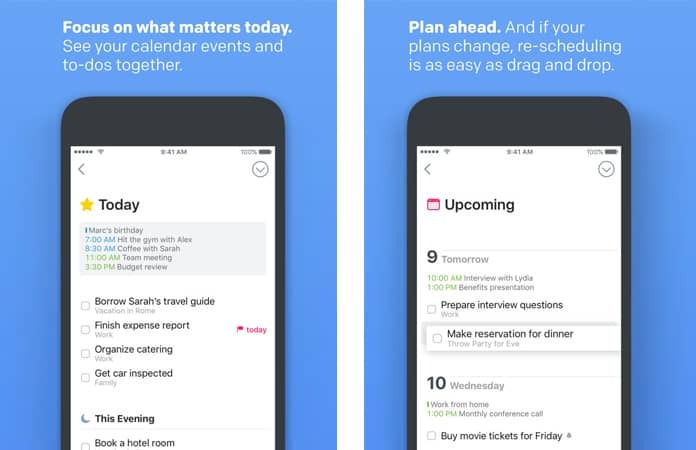 Toggl is a time management app which gives you a lot of features. 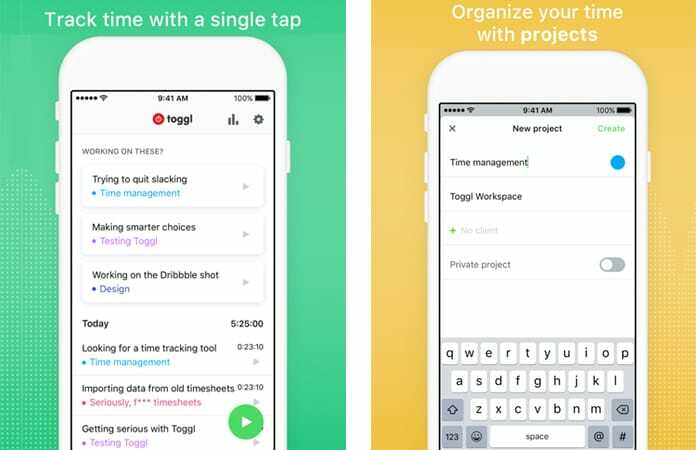 If you are a busy person and wants to manage your time according to your tasks, you must consider downloading the Toggl app. This app works on the time intervals which you set in it. You can set the time of the meeting, job and other events which you have to attend. Toggl app will remind you about each of the events which you have set in it. You can also get the paid version of this app which includes some advanced features like project management and business reporting. It means you will be able to manage your time effectively with this app. 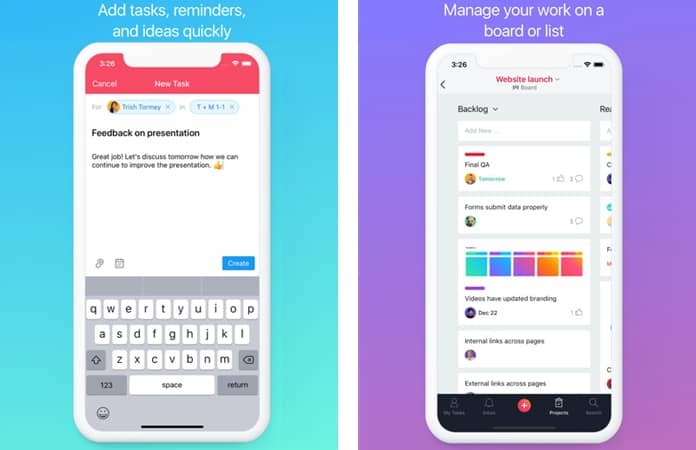 Things 3 is another excellent time and task management app which allows you to accomplish your tasks according to their priorities. This app has a great concept of managing the tasks. First, you need to set up the jobs which you want to do on the same day, tomorrow or within the next week. After setting up the tasks, Things 3 app will remind you after time to time about your pending jobs. It also takes care of the priorities which you have set with the tasks. Once you have completed your mission, you can mark it done. You can also add tasks to your home, work or outside like outdoor activities. So, it is an excellent app for you if you want to manage your time. Todoist is a simple yet powerful app which is specially designed for group time management. It has a simple interface which allows you to add the tasks and jobs which are pending. After that, you can keep track of your listed tasks in the app with their final time. The best feature of the Todoist app is its group management. You can ask your colleagues or home people to join Todoist. After that, you can assign tasks to them with a specific time. This feature allows you to manage your time while you are working with some other people. Trove is an email management app which is designed for business purposes. When you are a businessman, there are a lot of emails in your mail inbox. Some of these are very important, and some are just promotional emails. Managing emails on the default apps with maximum productivity is hard. So, Trove app will help you to manage your emails. It shows a little preview with the email which you have just received. The best thing about Trove app is its filter. This app filters promotion, letters, and other unimportant emails condensed. So, you don’t require to scroll through a dozen emails to find out which one is most important to you. Scanbot Pro is a document managing app which can increase your productivity if you work with documents very often. It is a scanning app which allows you to manage your documentation is an easier way. 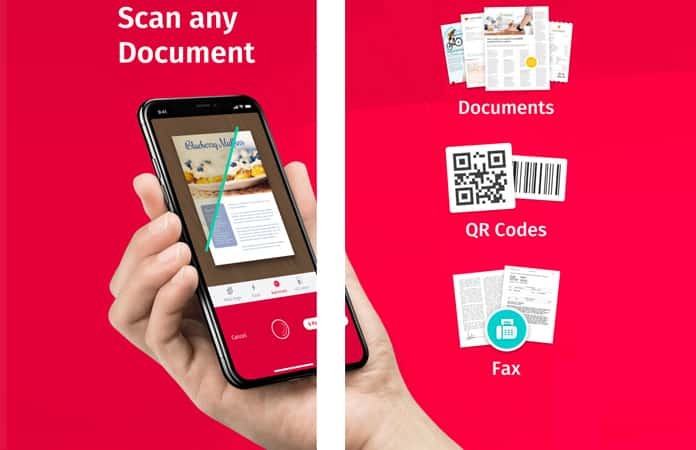 You can scan documents to create PDF files. You can also compile a bunch of files, edit them or crop them. It means you won’t need to scan the data in the printer anymore. Just use the Scanbot Pro app and get your work done in minutes. You can also use the QR code of this app. A pocket is a reading app which allows you to read articles related to news and current affairs etc. It doesn’t look like a productivity app, but it can play a functional role in increasing your productivity. In the tough daily routines, it is hard to get time to do other things like reading, exercising and relaxing your mind. So, if you take some time to read the news or other articles, it will make your mind fresh as you are doing something different and relaxing your mind. 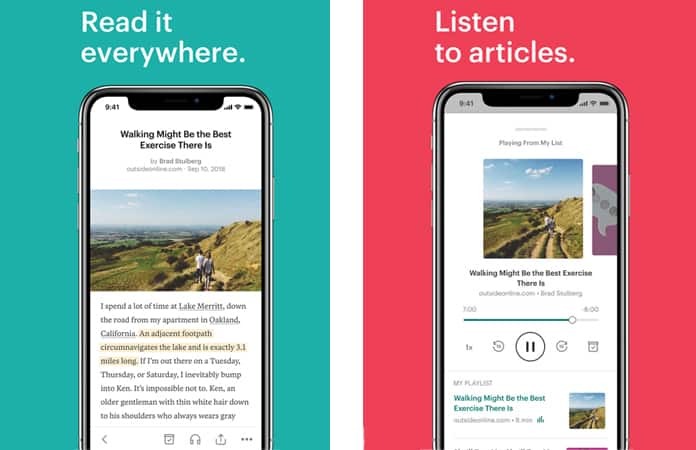 You can set which story you want to read, and it will filter all of the related articles. SwiftKey is a typing app which can save a lot of your time. Basically, it is a swiping app which allows you to type messages with swiping rather than clicking on each of the single letters. In other words, you can type words by swiping on their letters instead of typing each letter individually. 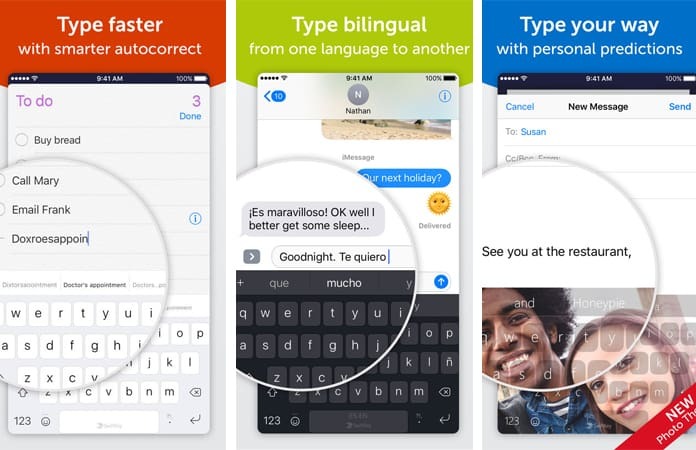 You can integrate it in all the apps regarding typing and messaging. So, if you type a lot of messages on your iPhone, you can use SwiftKey to save your time. 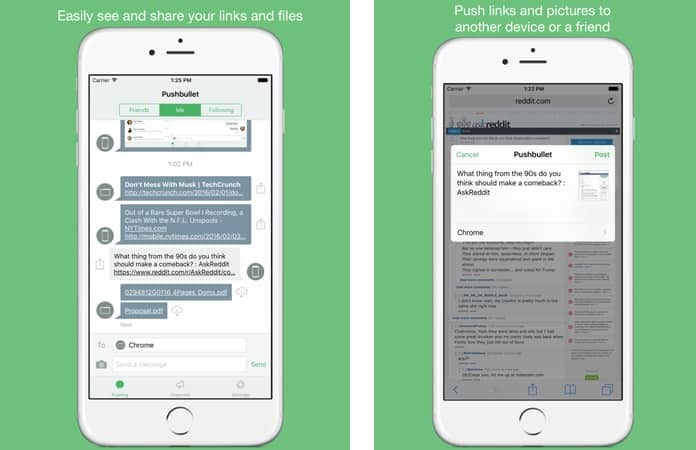 Pushbullet is a data sharing app which uniquely increases your productivity. Sometimes, we need to share the information from one device to another. The traditional way to do this job is using a cable or email etc. However, you can share information between devices in a new method which is Pushbullet app. You can sync the account from which you want to share the information. After that, you could share the information within seconds. In short, you can save a lot of your time while sharing the information between different devices. 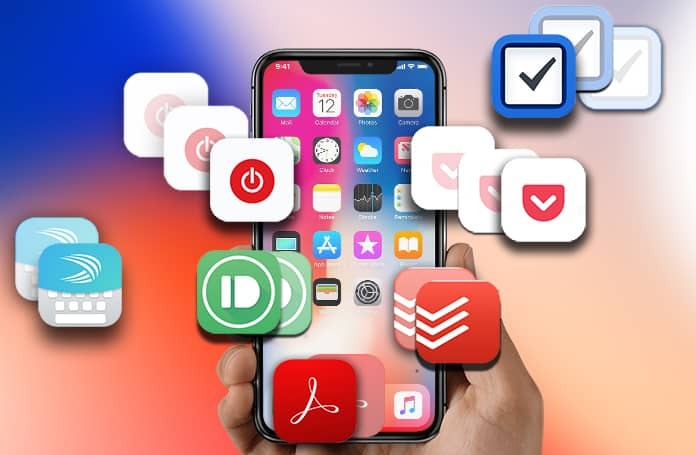 We hope that these apps will help you stay more productive while you’re on the go or while you are doing your daily tasks.